I welcome this opportunity to continue working with all of you on our common objective of preserving, protecting and sharing Fair Oaks' history and heritage. Continuing to enhance the temporary History Center in the Fireside Room while aiming to secure a permanent site at the Old Fair Oaks Library. Our fundraiser Soup Night last November 7 was a big success; and we look forward to an even greater Soup Night next November 6. Using media and technology, such as our WEB site, to share the Fair Oaks story. This includes completing the Portable History Exhibit which is a joint project funded by the Rotary Club. Coordinating with other history centers including active membership in the Sacramento Area History Network, a consortium of historical societies. Its function is to encourage the networking of historical, ethnic and cultural organizations in the Greater Sacramento and Gold country. Recruiting new members to the society at the same time as involving more existing members in the work of the society, benefitting from the immense knowledge, skills and abilities in our community. Serving as a Docent at the History Center on a Sunday afternoon. Recommending historical topics for programs at the general meeting. Serving as a Greeter at one of our general meetings. Volunteering to work on one of the committees or projects, such as Soup Night, or the Portable History Exhibit. I look forward to seeing all of you at the general meeting on January 27th. The meeting starts at 6:00 PM. Come and bring a dish to share at the potluck. Invite potential members as guests and introduce them around. 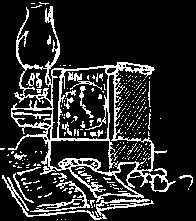 January’s potpourri program will be stories and memories of members we have lost in years gone by. Presenters will have 3 to 5 minutes to present their memories. How have their lives bettered our F.O.H.S. and our community? If you wish to participate by sharing your memories, please contact Sherry Lynn Wood at (916) 944-4812. 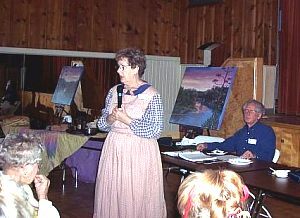 Gaynel Wald from the Folsom Historical Society performed the living history of Nancy Kelsey. Nancy Kelsey was the first white woman to cross the plains and to reach California in the spring of 1841. She was known as the Betsy Ross of California for designing and sewing the Bear Flag of California. Gaynel came to our quarterly meeting dressed as Nancy Kelsey to tell her story using a number of visual aides. Gaynel, AKA Nancy told us how it really was to live and travel to California in the 1800s. Thank you Gaynel and the Folsom Historical Society for your wonderful presentation. If you have an idea or suggestion for a future program topic please let me know. I want to bring historical topics of interest to all of you. You can call me at (916) 944-4812 or e-mail me at sherrywood1949@yahoo.com. Fair Oaks Historical Society General Meeting Minutes, October 21, 2008. 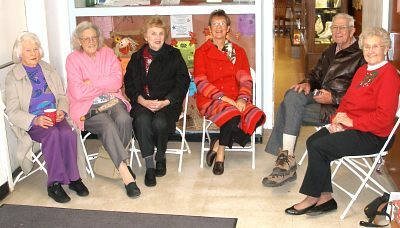 The meeting was called to order by President Ken Steen at the Fair Oaks Community Clubhouse following the usually delicious potluck. Historical Moment: Pete White introduced Janet McWilliams who shared moments in her childhood swimming at the lifeguarded beach where the Sunrise Bridge is now located. The program was jointly sponsored by the Fair Oaks Recreation and Park District and the Red Cross. Business Meeting - The minutes of the previous meeting were approved as published in the Newsletter. Treasurer's Report: Treasurer Joe Dobrowolski reported that his report was also published in the Newsletter. Past President: Warren McWilliams reported that there has been no movement towards a permanent home, due to personnel changes at the Park District and School District. He also reported that he and Ken Steen attended the Sac. County History Consortium meeting in Clarksville. Amenities/Kitchen: Warren and Judy Blomquist thanked everyone for the great food, there were 87 in attendance. Ways & Means: Claudia Thorn reported $32 in wine donations and $173 in raffle tickets. Membership/Registration: Bob Barrett reported 160 memberships, 256 voting members. History Center Operations: Lois Frazier reported that we have been having visitors at the 2nd Sunday openings. She also announced the annual Christmas Open House will be Sunday December 14. Newsletter: Marilyn Pearce reported that she was looking for a house to research for the next newsletter. Publicity: Trude is looking for other ways for us to deliver publicity, due to the recent changes in the Sacramento Bee. Soup Dinner Fundraiser: Lynn Steen and Claudia Thorn passed sheets around asking for volunteers for the Soup Dinner which will be held November 7. Unfinished Business - Election of Officers for 2009: Nominating Committee Chairman Warren McWilliams reported that the officers for next year will be the same as this year. Pete White moved that the nominations be closed. Motion seconded. Passed. New Business - Application for Individual Life Member: Ralph Carhart has presented an application for an individual life membership. The Executive Board has approved this application. It was moved by June Melvin that we accept this membership. Seconded by Nancy White. Motion passed. Portable History Exhibit: Ken Steen and Warren McWilliams reported that the Fair Oaks Rotary Club will fund a traveling exhibit that can be used with local schools. It would have multiple uses. Nancy White, Janet McWilliams, Ann Dobek, and Lois Fraizier will start the committee. Others are welcome to join. It was also mentioned that the exhibit could go to Senior Citizen homes. 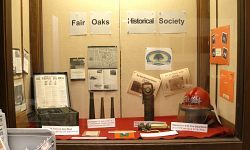 For the month of November, the Fair Oaks Historical Society had a display in the window at the entrance of the Fair Oaks Library. The new acquisition of early Fair Oaks Fire Department artifacts were displayed. You can see them now in our case at the History Center. Our annual Open House was held December 14. A combination of a busy season and bad weather resulted in small attendance. The following people have been docents for this year. Our Second Annual Soup Night was a huge success. We could not have accomplished our goal without the support of so many of our members. As you have read, we earned $8,500 after all was said and done. As we’re hoping to continue improving this event, we’ve included a feedback form in this newsletter. Please take a few moments to complete it and return it at our next meeting or mail it to: Claudia Thorn, 4148 Eastwood Street, Fair Oaks, CA 95628. Your comments are critical to our continued success. We’ve scheduled our Third Soup Night for the first Friday in November. Please mark November 6, 2009 on your calendars and start thinking about whom you can contact for Silent Auction items. We've had some thank you notes designed with our Historical Society logo on the front. Members of the committee will be sending thank you notes to all those folks who made donations for our event. 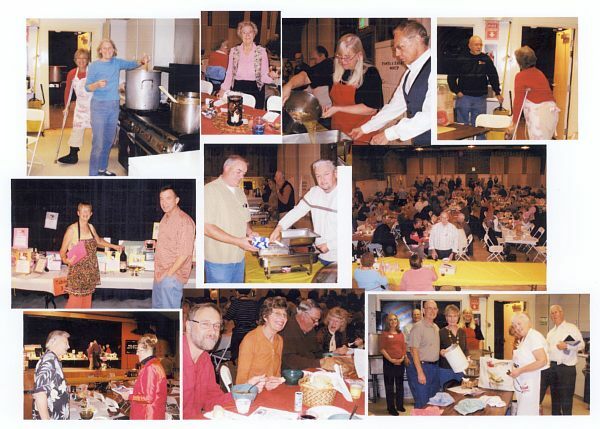 If you had a special soup you really enjoyed, check the Fair Oaks Historical Society web site for that recipe. Looking forward to seeing you at our January meeting. Thank you for your support in making this year's Soup Night such an outstanding success! Bring this to the potluck or mail to Claudia Thorn. Please help us review the event. 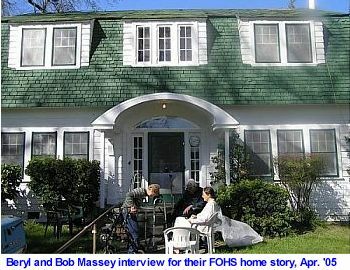 Robert L Massey, born November 25, 1921 quietly died at home in Fair Oaks on November 8, 2008. Son of early settlers in Fair Oaks, he loved this community and gave much of his time, support and financial aid to the betterment of our home area. Over the years he was chairman and/or president of the F.O. Elementary School District Board of Trustees, F.O. Irrigation District (water) Board of Trustees, F.O. Recreation & Park District Board of Trustees, F.O. Cemetery District Board of Trustees, Sacramento County Fair Board, Auburn Dam Committee, F.O. Civic and Improvement Clubs, Founder of the F.O. Annual Spring Fiesta and never missed our State's Senator, Assemblyman and County Supervisor's Community Meetings. For many years, a member and/or president of the F.O. Lion's Club, F.O. Chamber of Commerce, Sacramento County Historical Society, the F. 0. Historical Society and the San Juan High School Alumni Assn. Locally known as "Farmer Bob", he always added a little extra when one purchased vegetables and fruit from his well known ranch on Sunset Avenue. Never to be forgotten was his beautiful acre that was so colorful with Halloween pumpkins displayed in front of the Massey Family Home. Also to be remembered is the picture of "Farmer Bob" in the Fiesta Children's Parade when, each year, he drove his tractor and wagon filled with joyous children and delighted few adults - now sorely missed. We shall miss his smile and quiet dignity, his wit and fun and especially his unique reminiscenses at the Historical Society meetings, a few of which have been taped. NOTE: Beryl, his wife of sixty-one years passed on this December 30 at age 87 years. She also was a participating member of our Historical Society. You may remember her for being a gracious receptionist for Dr. Archer and Dr. Kolander, Sr.'s dental practices. A service is scheduled for Thursday, January 8 at Mount Vernon Memorial Cemetery on Greenback Lane where Mr. Massey is interred. They are survived by two daughters. The photo on the right is the Rice-Chasko home today. 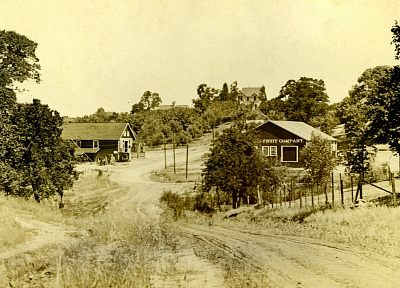 The only old photo we have of the house shows the roofline and chimney in the middle of this 1910 photo of the Fair Oaks Fruit Company, but shows the lay of the land when the home was built. The view is up Pennsylvania from Winding Way. The house at middle top was built by the Croft family and burned in 1925. Henry and Phoebe Rice and three of their four sons, Dewitt (Iva Langness' father), William, and Rosco came to Fair Oaks from Minnesota in 1902. Their fourth son, Immer, came several years later. 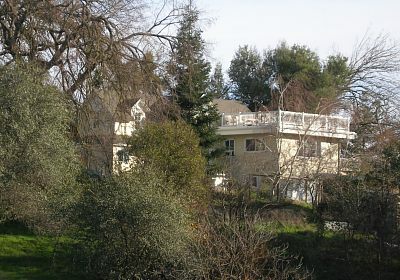 Henry bought two properties in western Fair Oaks, farmed one near the cemetery and built his house on the Orange Avenue property. He raised over 100 trees - pears, peach, fig, citrus, 20 almond, 40 olive, and grape vines for 11 years until his death in 1913. His wife Phoebe died six years later and the property was sold to Walter Obershain. Andrew Chasko and his wife Jessie moved to Fair Oaks in 1947 and took an interest in the property, but the owner didn't want to sell. In 1956 the Chasko family moved into the house as renters, and purchased the 5-acre property in 1957 for $12,500. The family has lived in the house ever since. The 2-story home has two basements, one general purpose and the other for fruit and preserves. The Chasko family has remodeled much of the house over the 50 years they have lived there, including the living room, dining room, 4 bedrooms, 2 1/2 baths, the furnace and air conditioning. A severe storm resulted in the south side of the house and laundry room "falling off." Jessie wanted to put up fencing so they could have animals/rent pasture. Near the time of Andrew's passing, the neighborhood men came to her aid with their power tools and put up fences. Over time, the family had cattle, chickens and ducks. They sold milk and eggs. Andrew Chasko had a tire shop in Sacramento for many years. During WWII, he was a fighter pilot. He died in 2002. Jessie was a nurse at the Brighham Hospital in Boston. All 4 of the Chasko children grew up on the property and walked to Fair Oaks School. The property is now occupied by Jessie's granddaughter and her family. Jesse Casko and her oldest daughter Jessica Denning gave information on their property. Jane Whitnack was reporter for this story.